The rapid digitisation of human life has made cybersecurity a key priority for policymakers worldwide. In a context marked by contested definitions of what cybersecurity is and how it should be achieved, it is critical for human rights defenders to understand the situation, actors and issues at stake in order to engage meaningfully in these debates. Depending on who you talk to, and where, cybersecurity can extend from issues as diverse as security protocols in government databases to the international norms applicable to cyber-attacks during armed conflict. 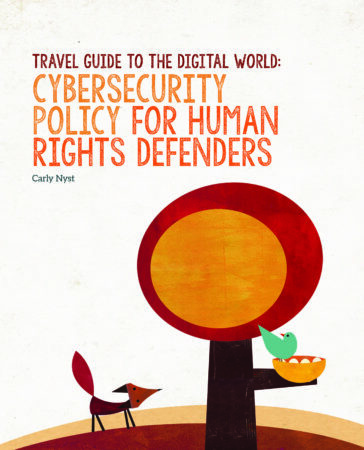 Engagement by human rights defenders in cybersecurity policy is important for a number of reasons, not least because the term has been appropriated for a wide number of measures that can undermine human rights. This guide aims to help human rights defenders navigate this complex policy domain.